Harry Dutton can think of nothing but his young wife waiting for his release. Then finding out she did not wait. Hairpin Harry Dutton (Hart) is released from prison after serving ten years of a fourteen-year sentence. His old friend Boston Blackie (Long) takes him to San Francisco where he learns that Polly (Hansen), the wife he believed to have faithful, has divorced him and married the policeman who testified against him. He meets his ten-year-old son surreptitiously and they become great friends. Polly learns of his presence, and her husband promises to "plant a gun on him" and send him back to prison. The boy hears this and innocently tells his father in time. Harry then goes to the detective's home and is about to brand his former wife on her cheek for her faithlessness when his son intervenes and asks Harry to take him away. Harry leaves the woman unharmed and takes his son, and they find happiness in the wilderness. 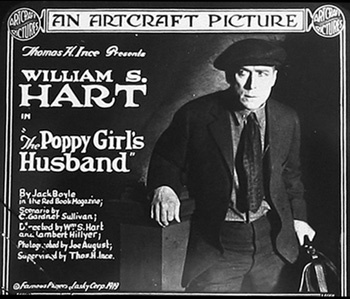 William Surrey Hart was an American silent film actor, screenwriter, director and producer. He is remembered as a foremost western star of the silent era who "imbued all of his characters with honor and integrity." Star Rank 1552. The address is 6363 Hollywood Blvd, north side. George E. Stone has a star on the Walk of Fame in the Motion Pictures Category. This is an early movie credit for Georgie Stone before he went by George E. Stone in later movies.